Almost three in 10 students took "non-professional" jobs after graduating last year - including bartending, cleaning and waitressing. In addition, tens of thousands of graduates were unemployed six months after leaving university, with men more likely to be out of work than women. 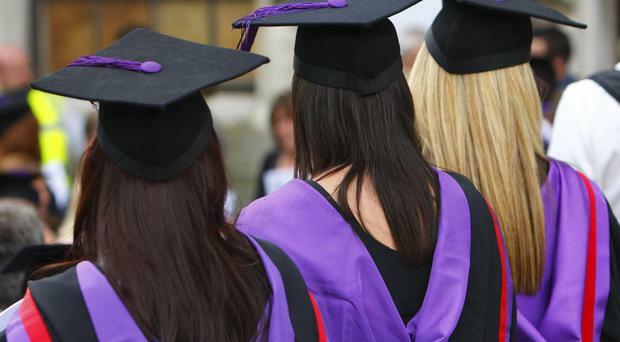 Figures published by the Higher Education Statistics Agency (HESA) show that 29% of full-time undergraduates at UK institutions - about 48,930 students - who went on to work in the UK were in "non-professional" jobs. The biggest group - about 17,030 graduates - were working in sales and customer service roles, while around 10,285 were in administrative positions such as library, bank and post office clerks and secretarial roles. Around 9,520 were in "elementary" positions, including window and street cleaners, shelf-fillers, waiters and bar staff. Others were in skilled trade roles, positions in caring and leisure industries, or working as process, plant and machine operatives. The figures show that 5% (17,365) were classed as unemployed. Women fared better than men in the jobs market, the data suggests. Around 7% of male graduates whose whereabouts were known six months after they finished their first degree were jobless, compared with 4% of women.